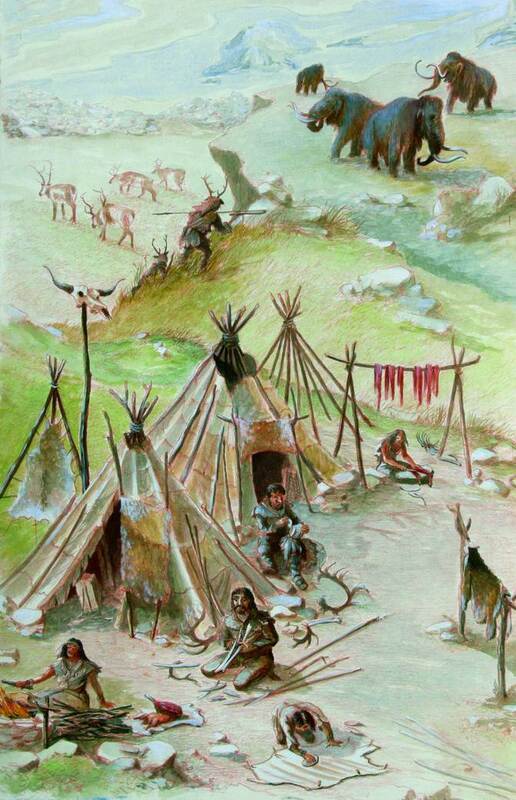 Hunters needed to be mobile, so the lived in tents. Caves are not found everywhere. The centre piece for the stone age section is the Siegsdorf cave lion. The almost complete skeleton has cutting marks at a number of places made by flint knives, dating back about 47,000 years. 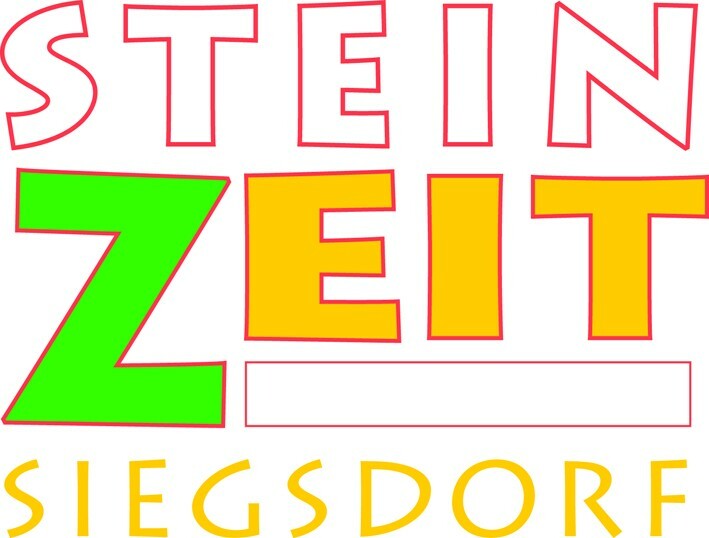 This means it lived at the time of the Neanderthals who were then moving around the ice free Chiemgau region. Very few articles from the Stone Age have been preserved, which makes it difficult for us to obtain an exact picture of life at that time. 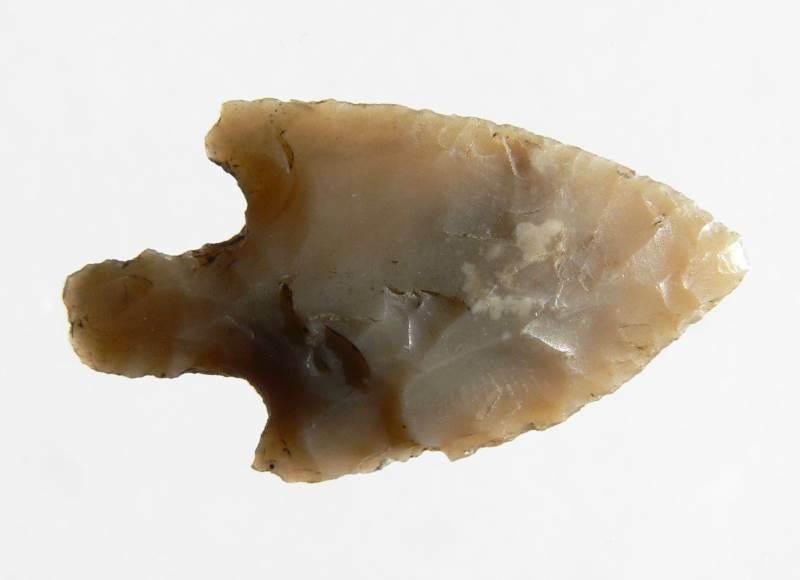 An arrow head of a north Italian flint found at Auhögl near Freilassing in Bavaria.